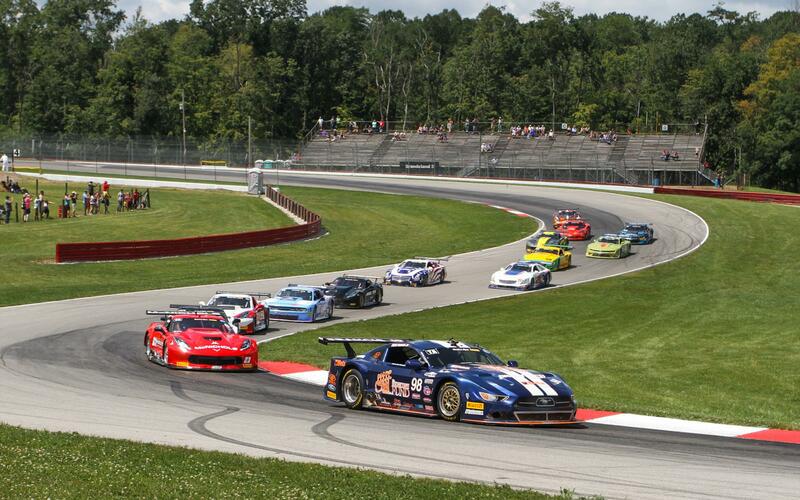 Ernie Francis Jr. posted a dominating – if unexpected – flag-to-flag victory in the First Energy 100 Trans Am Series race at Mid-Ohio Sports Car Course Saturday and he depended on Katech to get the job done. Francis stormed to his fifth victory in seven starts this season in his Ford Mustang after suffering a cracked piston during a practice session Thursday. The engine was trucked to Katech’s shop in Detroit and returned to Mid-Ohio in time to be installed in the car Saturday morning. Francis led every lap Saturday. Qualifying was washed out by rain Friday, allowing Francis to start on the pole and he was never headed. It was the 28th victory for Francis in Trans Am competition. “This will be a race we’ll remember for a long time.” Francis Jr. said after the win. “Without Katech, we would never be in this position. Katech was our savior. To be able to turn the engine around in a couple of hours … was just incredible.” Katech’s director of motorsports, Kevin Pranger, made a final adjustment just minutes before the race. Francis didn’t just win the race in his Breathless Racing/Buoniconti Fund/Beta Tools Ford Mustang. He set a race lap record (1 minute, 22.236 seconds) during the event. The former record had stood for five years. During the race, Francis withstood pressure first from two-time defending series champion Amy Ruman and then Martin Ragginger. Even a late-race caution flag that brought the field back to Francis couldn’t wrest the victory away from the Katech power in Francis’ car. It was worth a win Saturday. It could be worth a championship later this year.